Iceland is a unique and thrilling place for a holiday, a completely different experience from the beach and resort type of destination. 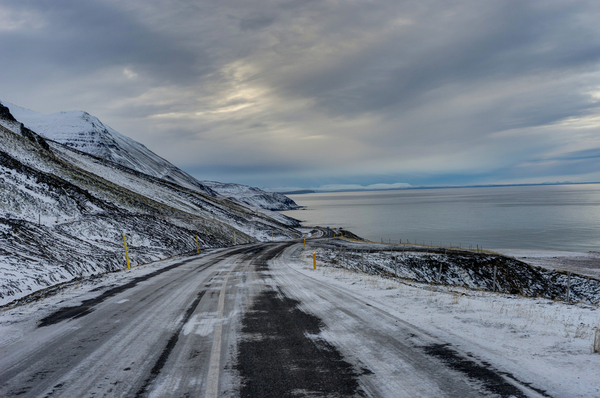 Iceland is a country of sensational landscapes where Mother Nature’s forces can be seen in all their raw power. Expect to see spouting geysers, boiling hot springs, rumbling volcanoes, sparkling glaciers, fjords, tearing fissures and of course, the ethereal Northern Lights of Iceland. If you are planning a short visit, Iceland’s most famous landmarks can be covered in a day on one of the famous Golden Circle tours. 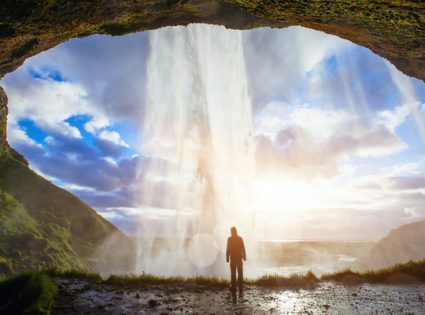 We encourage you to spend more than just a day, but if you’re short on time, here is everything you need to explore Iceland in 24 hours. The Golden Circle is a 190 mile (300 kilometers) circular route around south-west Iceland which showcases the country’s incredible beauty and most historic sites. The spouting hot spring that has given its name to all the gushing geothermal springs in the world. Unfortunately, Geysir has been reluctant to perform recently. But, when it does decide to ‘do its stuff’, it is awesome, shooting a jet of steaming water 200 feet skyward. Less spectacular but more consistent is nearby Strokkur which sends up a 60-100 foot jet about once every five minutes, soaking any tourists who happen to be downwind at the time! Around the geysers are thermal pools, boiling hot springs, and colorful, mineral-rich mud formations. 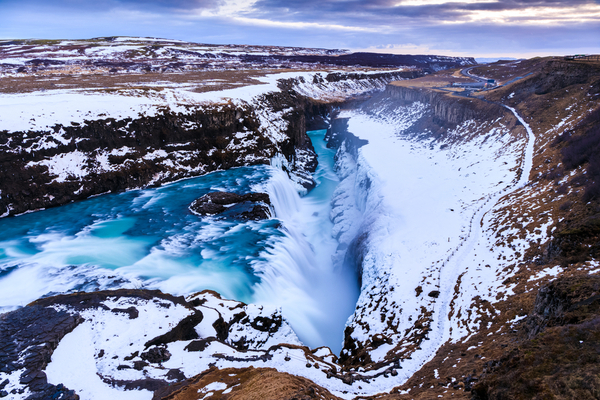 Gullfoss, which means ‘Golden Falls’, is Europe’s largest waterfall, a stunning two-tiered cascade that plunges 105-feet into the roiling Hvita river. The waters of the falls are rich in brownish sediment scoured from the earth’s surface by glaciers and, on a bright day, the tumbling waters look quite golden in the sunlight, giving the waterfall its name. 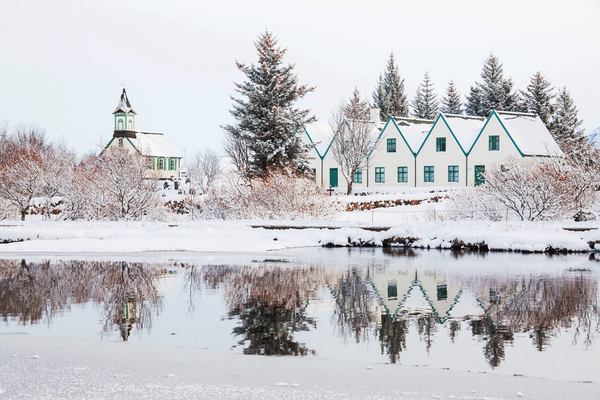 The most important historical site on the Golden Circle tours is the national park of Thingvellir. This is where the Althing, an open-air assembly representing the whole of Iceland, was established in 930 and continued to meet until 1798. Traces of the Althing can still be seen, in the form of around 50 huts built from turf and stone. Thingvellir is also a geological wonder. It lies in a rift valley between the American and European tectonic plates and Lake Thingvellir contains species of fish found nowhere else. If you visit Iceland in winter, don’t miss the chance to see the most spectacular show on Earth, the Northern Lights in Iceland. Being so close to the Arctic Circle, Iceland is one of the best places to see this extraordinary phenomenon – also known as the aurora borealis. The aurora displays are caused by collisions between electrically charged particles from the sun that enter the earth’s atmosphere. This creates bright dancing light effects, which can be of any color, although green and pink are the most common. 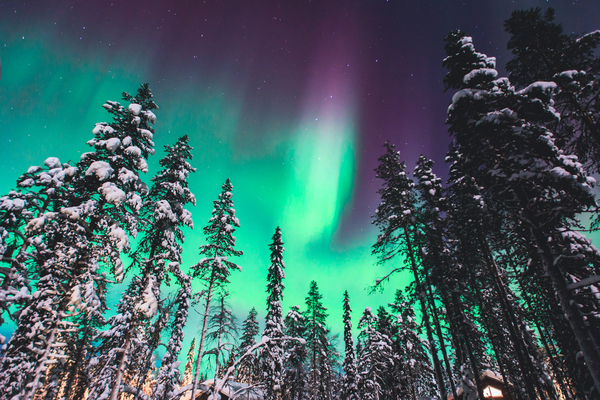 Aside from Iceland, there are a few other places where one can catch the sights of the Northern Lights.